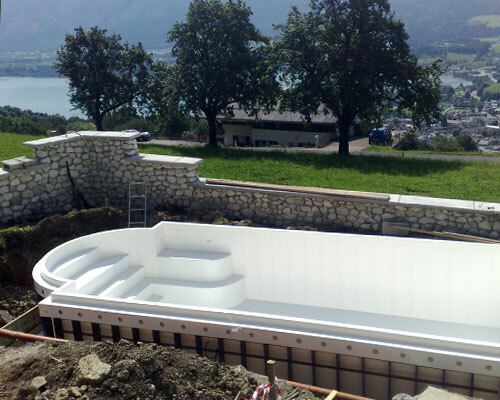 La Veneta Forme produces swimming pools made to measure in various shapes and sizes, according to the client’s requirements. 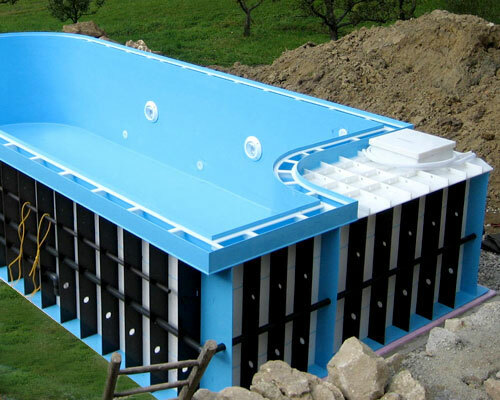 One of the main characteristics of the swimming pool in polypropylene is the speed of the installation, which makes it possible to eliminate several materials and corresponding craftsmen at the construction site. 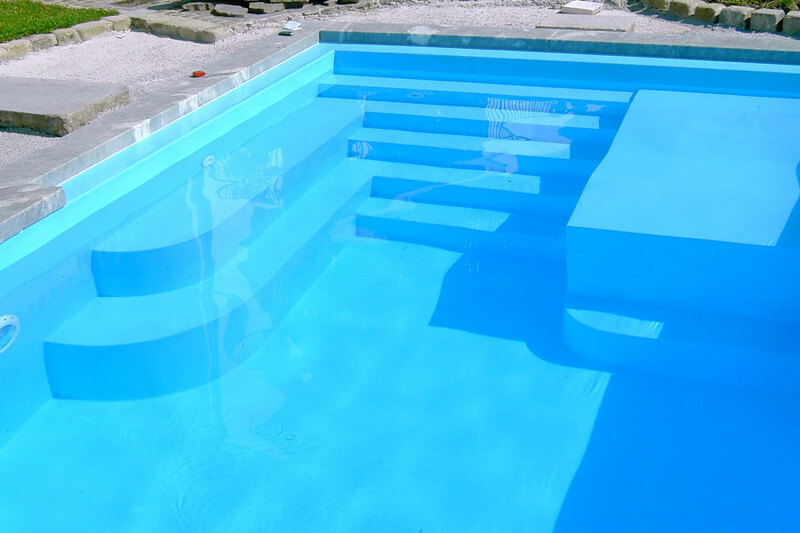 Polypropylene is totally UV stable and, unlike the pools made with fibreglass , it is not susceptible to osmosis. Both the structure and the colours are unalterable over time. 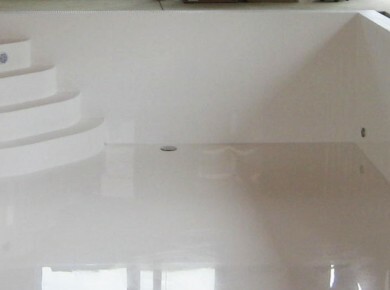 The surface of the material is smooth, preassembled in the workshop and does not require any coating, therefore allowing an easy maintenance and cleaning. 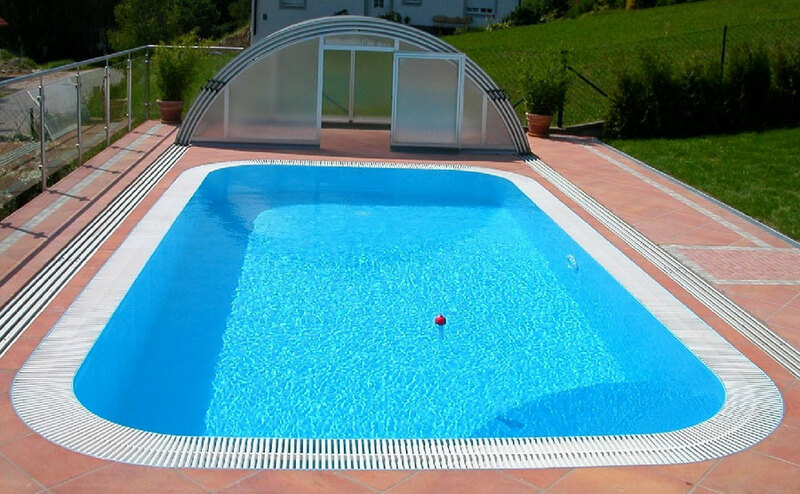 Polypropylene has a smooth finished surface that does not require any coating, it is indestructible, guarantees durability and stability over time, has permanent colours, is resistant to freezing temperatures, to UV rays and to aggressive chemical substances used in swimming pools. 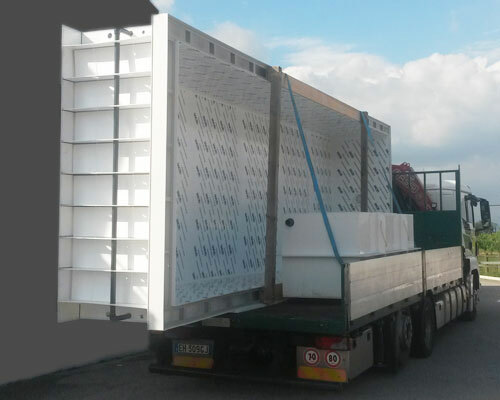 The flexibility of polypropylene allows the realization of personalized and original solutions since the custom-made panels are heat-sealed in the work shop, unlike fibreglass and acrylic that require the use of expensive moulds. The panel joining is carried out by automatic machines that use advanced technology applied in the most complex processes in the food sector and in the chemical industry. 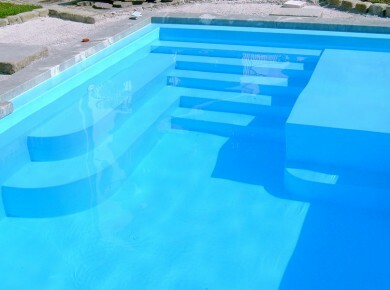 The swimming pools are completely personalizable in the colour white and/or sky blue. 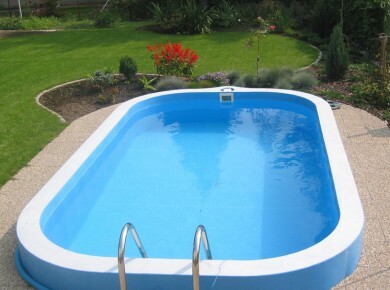 The quality/price ratio of swimming pools in polypropylene is excellent . This is also due to the ease of transport (within a total height of 3 metres, otherwise it becomes “exceptional transport” in which case the saving is lost). 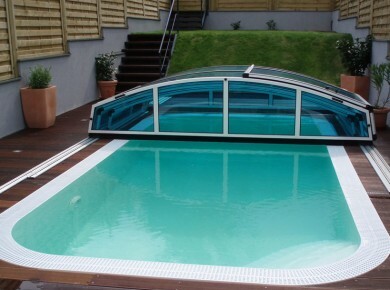 The pool is also covered with a film of protection to avoid damage during transport and installation. 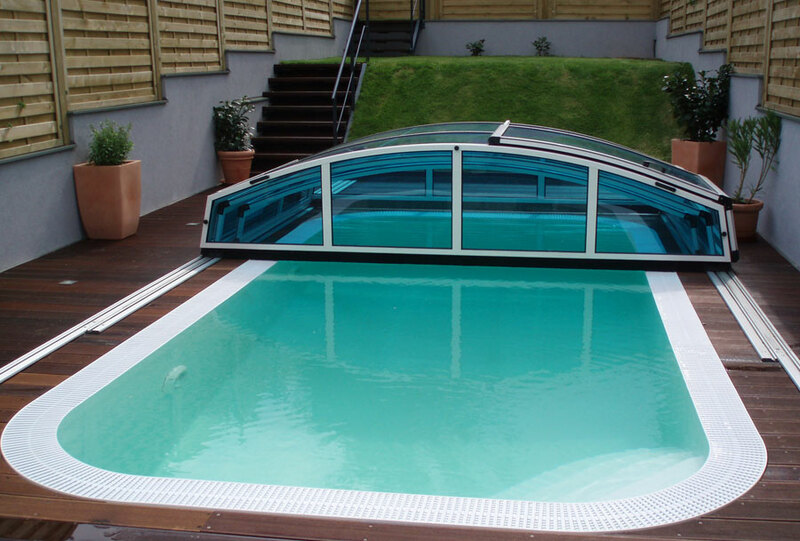 This type of swimming pool guarantees simplicity of installation and speed in completing the work. 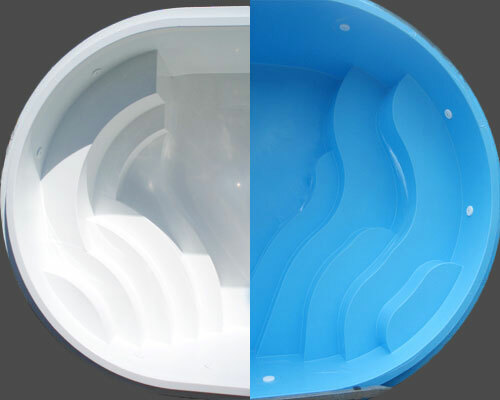 The considerable lightness and elasticity of polypropylene make the swimming pool a light structure that does not need any particular measures or inspection of installation site. 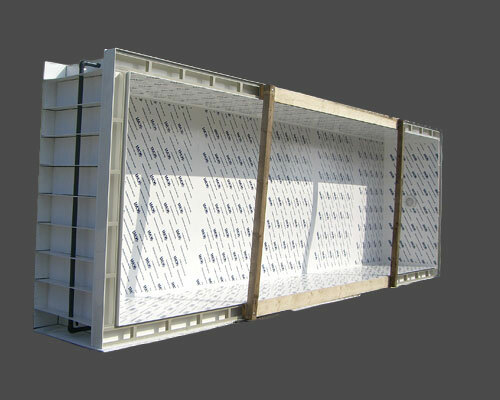 It is able to tolerate light settling in the case of installation on a terrain of poor consistency or in earthquake areas. 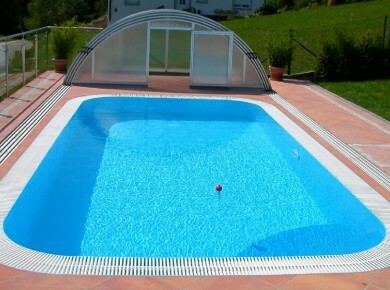 Swimming pools in polypropylene are produced with an overflow system equipped with canal and grill or with skimmers, complete with technical compartment and a catch basin. 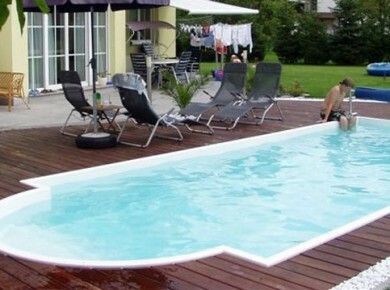 They are not self supporting and therefore need a cement cast around them to withstand the counterthrust of the water. 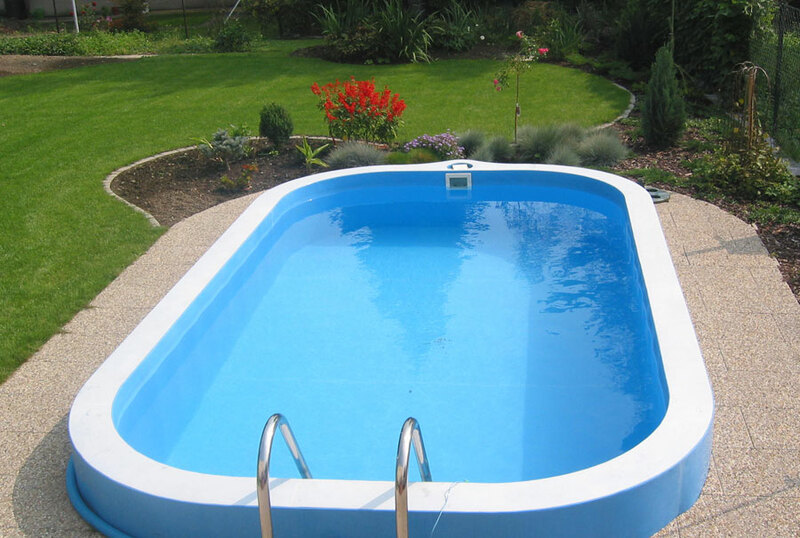 Polypropylene has a high resistance to chemicals and is characterized by a smooth surface. 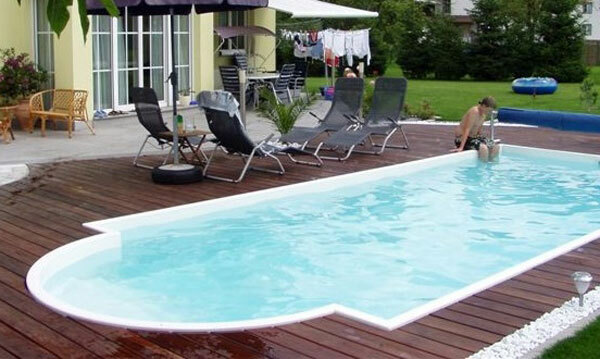 This permits easy maintenance and cleaning. 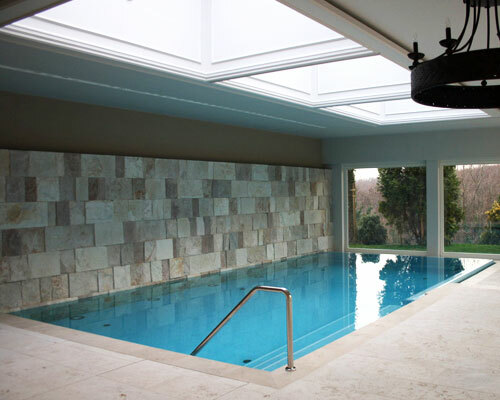 The high resistance to chemicals also prevents damage to the structure caused by the products used. 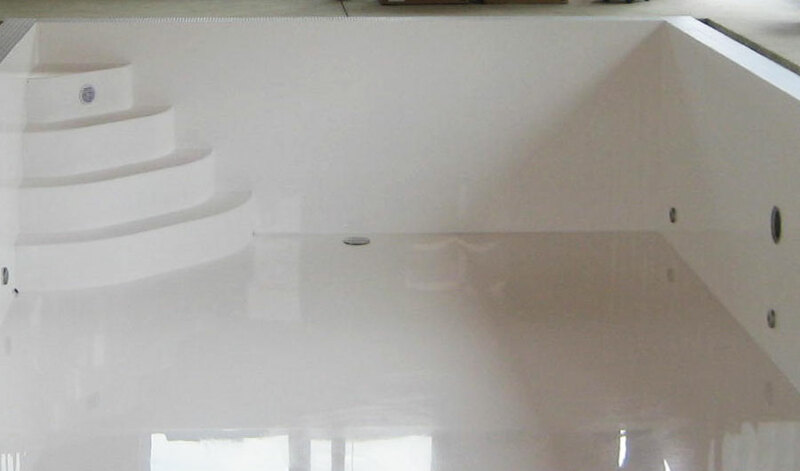 The surface of the steps, on the contrary, is rough and slip resistant.